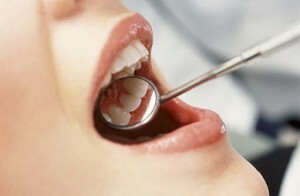 Good oral hygiene is essential to prevent dental decay and gum disease. Integrating Brushing, Flossing, Tongue Scraping and Water-picking into your daily routine is your best defense! Dr. Obrochta and our Dental Hygienists will help you achieve the knowledge and techniques to lower your risk of developing tooth decay and gum disease. It’s your assurance in keeping a beautiful smile! It sounds simple “Brush, Floss, Water-pick”, but technique and the desire to stay healthy takes a commitment from us at the Obrochta Center for Dental Health and you the patient to achieve the best Oral Health and prevent more serious dental problems. Let us be your personal trainer in achieving and maintaining your smile. Did you know that certain foods and drinks can cause tooth decay, and some even fight tooth decay? Sugary candies and sweets, starchy refined carbohydrates, carbonated soft drinks, fruit juices and acidic foods contain high amounts of sugar and in some cases acidity will cause cavities and enamel erosion. If you eat sweets and desserts during the course of the day brush your teeth with a fluoride toothpaste, and use a straw when drinking juice and soft drinks. Fiber rich fruits and vegetables stimulate saliva, which is a natural defense against cavities and neutralizes acids to protect your teeth. Cheese, Milk, Plain Yogurt contain calcium which mixes with plaque and sticks to teeth protecting them from acid and cavities. Green & Black Teas – the components of these teas interact with plaque killing and suppressing bacteria preventing cavities and reducing inflammation. Smoking Cessation – Hypnosis, Prescription Medication, & Acupuncture are some of the methods which we direct our patients to quit this habit. The oral cavity suffers greatly from smoking. It causes periodontal disease, bone loss and is connected to specific diseases and health conditions, such as cancer, diabetes and cardiovascular disease. Oral Cancer Screening – As part of your routine dental cleaning, your dental hygienist will check your oral cavity for visual signs of oral cancer. At your comprehensive examination with Dr. Obrochta, the revolutionary Velscope® handheld scope is used in addition to the visual and manual exam. The Velscope® uses natural tissue fluorescence visualization to help discover oral mucosal abnormalities that might otherwise have been overlooked: Viral, fungal and bacterial infections; Squamous papillomas; Salivary gland tumors; and Cancer and pre-cancer. Patients with a higher risk of oral cancer, due to smoking or family history are advised to be tested each year. This newest salivary testing method obtains for Dr. Obrochta precise evidence about periodontal disease and oral HPV, which allows more accurate diagnosis and effective periodontal treatment to target the exact bacteria and treat with precision and predictable results. It is totally non-invasive, quick and accurate.